Data protection and GDPR is a business process that you should be integral to your business. There are no exemptions for small and micro businesses. However, GDPR shouldn’t be scaring you, as it’s a business process for you to use and store your customers information, safely and securely. 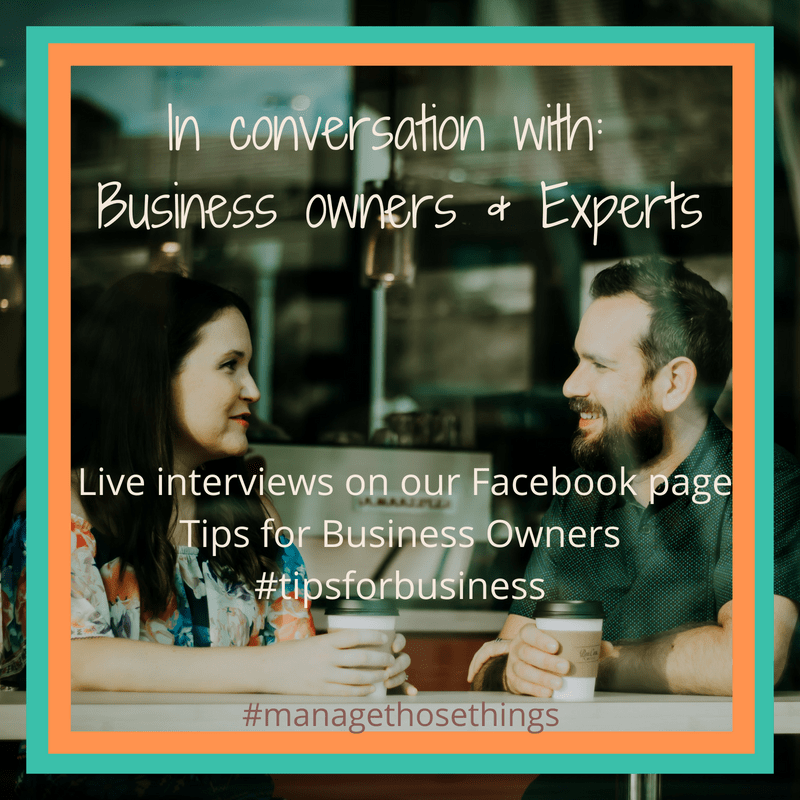 I recently interviewed Annabel Kaye from KoffeeKlatch who as a employment law expert has been helping small businesses work through contracts and legal compliance since 1989. Since last summer, Annabel and her team have been sharing a common sense GDPR approach with small and micro businesses. We like common sense & believe we share a common sense approach to business & our business support to you. We’ve seen, and heard, many scaremongers about GDPR which has turned businesses off, rather than supporting them to go through the review process of how you manage and store information in your business. So, here’s our common sense GDPR suggestions for you to get to grips with what you need to do in YOUR business. Think about your business. What information do you NEED to enable you to run your business efficiently? For example, if you have an online shop, it’s likely you need customer name and an email address, and possibly a phone number for any order queries. Thinking about your business, how long do you need to retain customer information? You will need to retain accounting records (and evidence of VAT sales) for the required time, so don’t be ditching customer records each year! If a customer signs up to a newsletter about your local service, that means, “a newsletter about your local service”. Those people on your current lists, are you happy that you can explain how they got on your list even if you’ve not got the hard copy of the original sign up form? Think about your own personal information. How do you want your own information to be stored and used by other businesses, doctors, charities, employers? Do you want it to be respected? Now think about how you can respect the information of your customers within your business, and keep it safe, without it costing you the earth in time or money (and it shouldn’t be doing either). I’m creating diagrams of each part of my business so I can see what information I get from potential customers, existing clients, and past customers. I’m writing down all the different systems I use. I like to see things in front of me, but that may not work for you. During the interview with Annabel, we talk through marketing CONSENT, with an example from one of our members, which is the biggest question we’re getting in the Business Cheerleading Club, where we talk through & support individual business situations. What common sense GDPR tips would you add? Confused, or are you all sorted with your information processes? Taking a common sense GDPR view is the best way to move forward, wherever you’re starting from at this point in time. Common sense business support and encouragement is available in the Business Cheerleading Club, open to any business owner looking to grow your business. For detailed support, please use the KoffeeKlatch GDPR support.